Nick and the team service all suburbs of Perth. 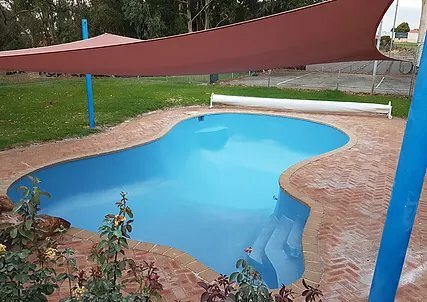 Fibreglass pool renovation project in Thornlie – February 2019. The customer wanted a new bench seat, table and Venturi jets installed. We constructed the bench seats and resurfaced with layers of fibreglass before finishing in Aquaguard Night blue top coat. The pool had also been previously emptied without bracing so the sides needed to be dug away so that the walls could also be repaired. 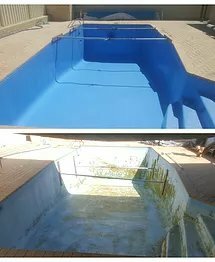 The pool had previously been painted by another company and the epoxy paint product had deteriorated. We prepared the pool and resurfaced with a new fibreglass layer and Aquaguard gel coat system. The water feature was also prepared and resurfaced with fibreglass and finished with a cream coloured top coat. 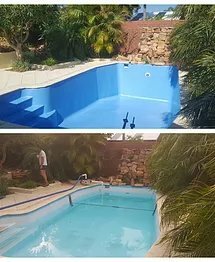 This pool renovation is finished in Aquaguard’s popular colour: Sapphire Blue. Guaranteed lifetime quality of coats we used in Sorrento. Pool resurfacing from the team at Perth Fibreglass Pools. 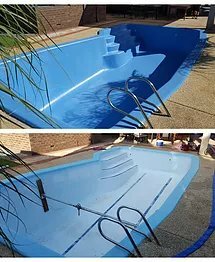 Fibreglass pool renovation in Hamersley. Gel coat badly failed on this pool. We resurfaced in sapphire blue and brought it back to life. 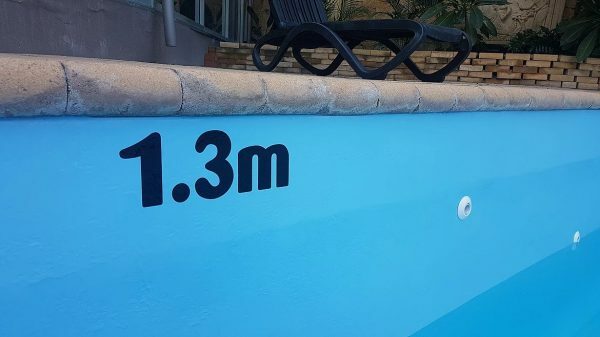 A large fibreglass pool from a large strata complex in Maylands. The pool was in need of a professional renovation. 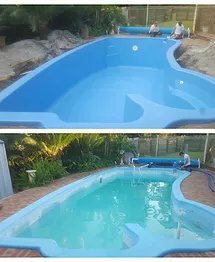 It took the team at Perth Fibreglass Pools less than a week to restore this pool and bring it back to life. The concrete pool at this centre had considerable deterioration and pitted plaster work. The chemicals had become difficult to balance and the pool needed attention. 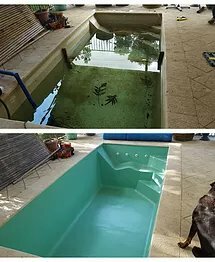 Transforming this concrete pool to a fibreglass pool was the best option and payed off. The chemical balance in the pool water is now stable and easy to clean. The new finish has brightened up the area and will last for many years to come. The team at Perth Fibreglass Pools renovated this tired 130’000 litre concrete pool in Como, belonging to the prestigious Pagoda Resort and Spa. The concrete render had cracked, bubbled and pitted in most places around the pool surface. The team striped back the old surface and applied a new fibreglass layer throughout the entire pool. Full Aquaguard resurfacing gel coats were correctly applied which will gave this old pool a new lease of life. 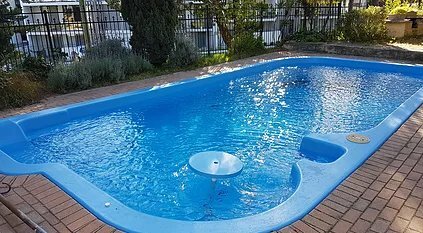 The colour is Lagoon Blue which is recommended for this class of commercial pool and matches WA leisure industry standards.